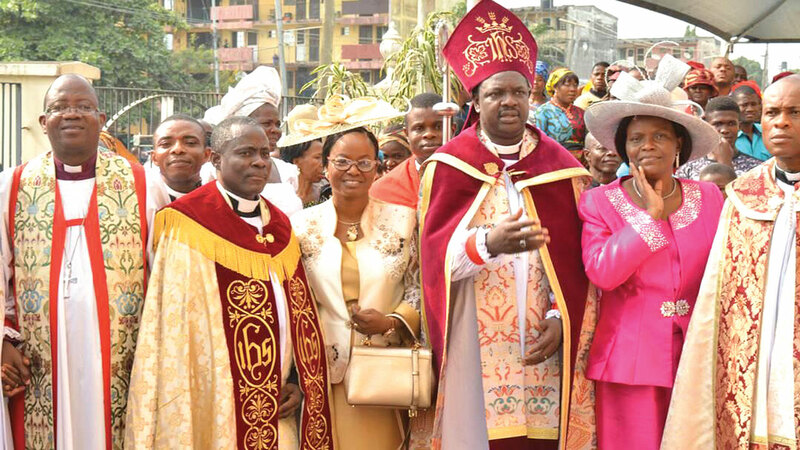 The Lord Bishop, Diocese of Lagos West, Church of Nigeria, Anglican Communion, last Sunday, at Church of Pentecost, FESTAC Town, Lagos, collated some Archdeacons and priests into the Holy Order in the Church of Nigeria. Picture shows Bishop of Jebba Diocese, Rt. Rev. Sunday Adewole (left); newly collated Archdeacon, The Ven. Olufemi Familoni; wife, Modupe; and Bishop of Lagos West, Rt Rev. Dr. Olusola Odedeji after the installation. 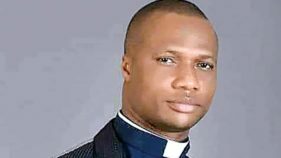 Venerable Oluwaseun Bolatito Dokunmu, Archdeacon of Isolo Archdeaconry spoke to OMIKO AWA on the Diocese of Lagos West (Anglican Communion)’s open-air crusade, which starts on January 24 and some other issues. What is the crusade all about? Our yearly open-air crusade tagged, ‘Isolo For Christ’ holds from Wednesday, January 24 to 26 at the LSDPC Estate Playing Ground, opposite SOS Children Village, Isolo, Lagos. It would be rounded off with a thanksgiving service on Sunday. The theme of the crusade is ‘New Beginning.’ It is taken from Isaiah 43:19. One may ask what is a new beginning? For something new to happen, the old must give way. So, a new beginning puts an end to an unpleasant or undesirable situation in one’s life, family or business. It is embracing a new way of life. It is moving from the sad past to a bright future. It is moving from the bottom to the top; moving from the back to the front. Besides, a new beginning does not happen by chance, as one has to create it and to do this, you must have a functional new relationship with God through Jesus Christ in all ways of life. Your old ways of life must give way to the new. The Bible in 2Corinthians 5:17, says, ‘if any man be in Christ, he is a new creature. Old things are passed away, behold all things have become new.’ Our old ways of thinking or doing things must give way, especially our ungodly behaviour. We must change the master, especially if the master is not Jesus Christ. In the forthcoming revival, Jesus is calling those that are heavy laden to come to Him. He is not just calling, but has promised to give everyone that comes a new hope, a new life, a new vision, miracles, restoration, as well as build new relationships and many others. How do we experience this new beginning? It has to do with making personal decisions. Life begins with what an individual wants to offer his generation. We can take a cue from Jesus Christ. It was after 30 years that He was born that He began to act according to what is written in the book of John. Maybe you have the problem of when and how to begin, remember God called Abraham at the age of 75. So, it is never too late for you to start. This year, you must not do without God. If your life must function maximally, then you must start with God by studying His words everyday; for everything one needs to begin a new life is in them. Many people have placed their lives in the hands of man and not God’s. We must make God our friend. You must take time to know who you are, who created you and why you were created. And until you discover this, you have not started life. The best discovery in life is that of self. You are bound to be limited, if you do not understand your link. Without God, we are useless. You will never be a failure if your root is in God. But why a crusade at this time of the year? We have an instruction in the Bible, which says: “Go ye into the world and preach the gospel, baptising them in the name of the Father, the Son and the Holy Ghost. So, there is no better way to start the New Year than to start with the Almighty God. The programme is meant to restore people to life. Many people have lost hope in life. So, it is left to the church to revive them, and give them reasons to live. Secondly, many people are feeling low in spirit, down physically and emotionally, as a result of national and global economy, ethnic crisis and killing in the country. It is the church’s responsibility to revive them amid all these. It is also to reignite fresh fire because you cannot do the Lord’s work without His anointing. The anointing is the heavenly lubricant that empowers the child of God. Thirdly, it is to stir up God’s gift in the people to enable them to sail through the New Year. By His special grace, Rt. Rev. 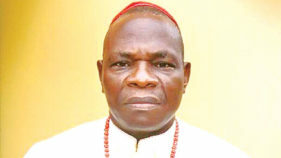 James Olushola Odedeji of the Diocese of Lagos West is the chief host, while Rt. Rev Ezekiel Dahunsi, the Bishop of Ido-Ani Diocese will be ministering. We have also invited our own guest artiste, Emmanuel Iloka to minister in praise. Open-air crusades are popular among Pentecostal churches. Are you trying to imitate them? It is really not so. Anglican Church is a Pentecostal church and we are also evangelical. We believe in the Bible. It is our manual, we preach and teach it. 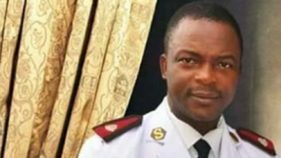 The Anglican Church is in the business of spreading the gospel of Jesus Christ, not only in Nigeria, but also all over the world, which is what informed the crusade. Considering what is happening in Nigeria and other parts of the world, would you say the gospel is actually impacting the people? We thank God for those that have laboured in the vineyard and have passed away, as well as those God is currently using. The gospel of Jesus Christ is penetrating into the people’s hearts. It is getting to places, even where we consider dark corners of the earth. Ministers of God are putting in much effort to make the gospel get to all the nooks and crannies. Now, there are different channels like Radio, TV, newspapers, the social media, Internet and others through which we pass on the message. The gospel is helping a lot, taking away evil and touching lives. Though evil still abounds, we cannot take away the fact that the gospel is touching men’s lives and restoring hope to the hopeless. What is your take on the view that the church has failed the society and as such should be done away with? It depends on individuals. The Anglican Communion to which I belong believes in impacting lives. For instance, during the Yuletide, we distributed food items, gave out different items for the season, we paid school fees of indigent students in the universities and secondary schools, paid house rent of those who couldn’t, aside from providing for the needy. The church is, indeed, trying to meet the people’s need. For instance, Ajayi Crowther gave us education, health, civilization and religion. We are trying to replicate these. The church is really trying and will continue to speak the truth until Jesus returns. Are you also expecting other churches? Yes, the joy of this year’s crusade is that three churches will be coming together to hold it. These are: St. Paul’s Anglican Church, Isolo, All Saint’s Anglican Church, Ile-Iwe Meta and Anglican Church of the Ascension, Isolo. We are also expecting other churches, believers and non-believers to attend. How are you reaching the unreached, especially those at the grassroots, as well as the lonely and depressed? We should not only set up a church to preach, the church must reach the unreached in our communities. We have a food bank set up by our members and from where we feed the people. There is hunger in the land and we must not just fold our hands and believe all is well. Where do you get the money to do all these? There is no church that prays and evangelises that would lack. If you were deeply involved in evangelism, God would always supply those things the church needs for His work. God is the Owner of the work. It is not our business and God knows how to provide for His work.